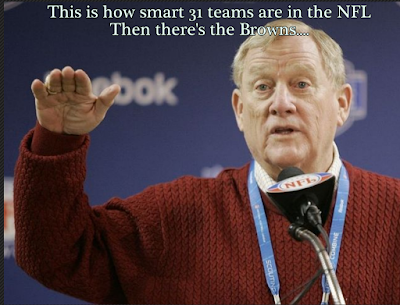 Bill Polian: "Browns Trade a Joke"
Bill Polian is a hall of fame GM. Mainly because he was smart enough to draft Peyton Manning and then hired Tony Dungy, which led to a long run of success in Indy. He is also a hall of fame crabby pants when it comes to NFL moves he doesn't agree with. This includes things as recent as saying, "TO and Randy Moss don't deserve to be in Canton" now he is bashing the Browns for paying the Texans essentially for a 2nd Rd pick. It doesn't, it wasn't that bad of a move by the Browns. They are a team in re-build mode and getting more draft picks means they may be able to make some substantial moves. Just look at the Patriots flipping a 1st and 3rd round pick for a difference maker in Brandon Cooks. 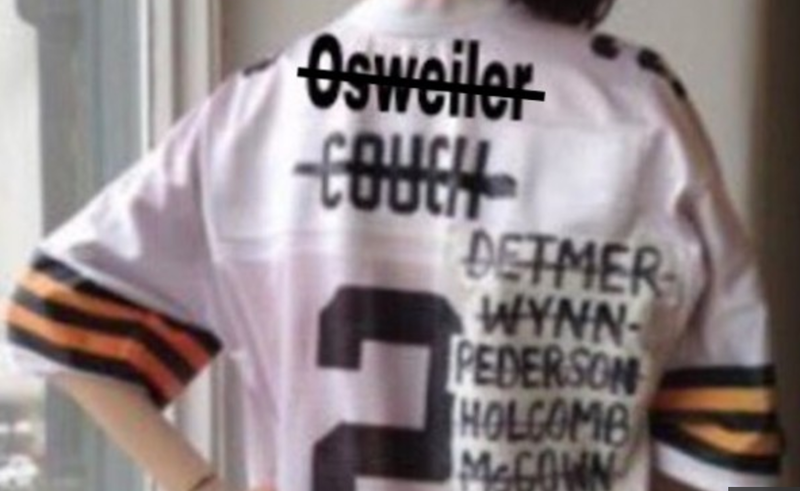 What's to say the Browns aren't going to be able to do that? Besides the fact they've never done that. Change could be in the air, the rest of the Cleveland sports world has turned it around, maybe the dog pound is next. Bill Polian needs to cool it. Let's see what Cleveland does the rest of the off-season. You never know Bill maybe they keep Brock and he has a solid season for Cleveland and that 2nd rd pick next year becomes the next star player in the league. Criticizing a franchise for making a move that overall helps them get a good pick, a player with experience, and closer to the cap space minimum they need to reach is dumb. Sit back and relax, and take a note from Sixers fans to "Trust the Process".